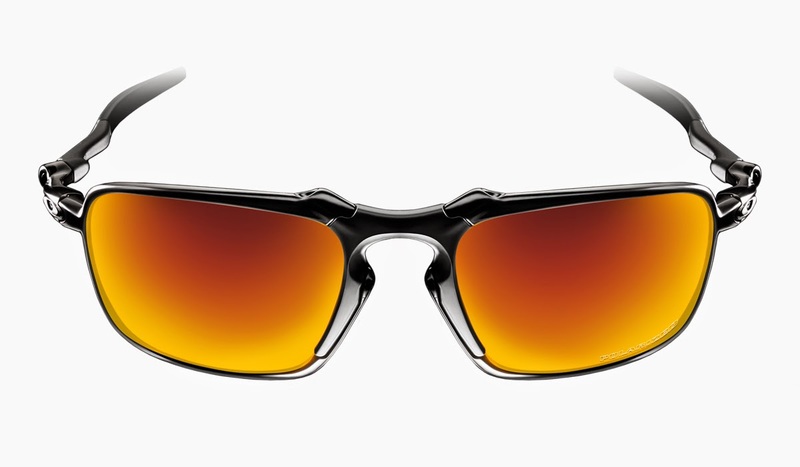 Oakley recently launched the newest addition to its XMen Collection -- Madman™ and Badman™ sunglasses here in the country following a successful US debut. The vault with the new sunglasses inside. 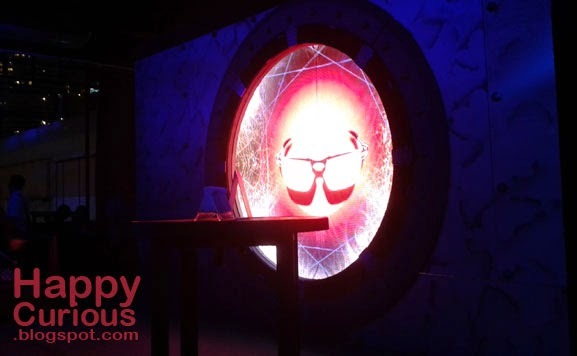 In a dramatic presentation, the waiting audience were treated to a visual effect show which focused on a vault where the 2 new sunglass models were being kept before the official launch. 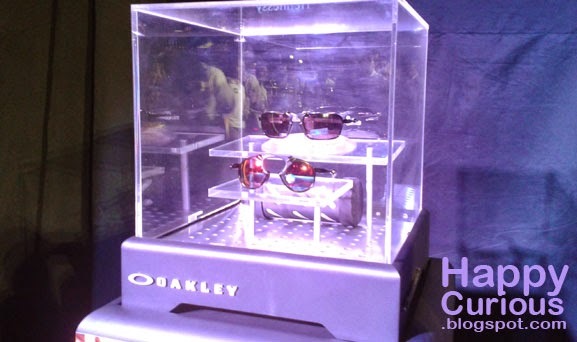 The vault was finally opened to reveal the newest stylish Oakley sunglasses. Badman on top and Madman below. "Both sunglasses feature Plutonite® Lens, one of the best materials for optical purity and clarity in eyewear today. They filter out 100% of all UVA, UVB, UVC and harmful blue light, with UV protection derived from the lens material itself, and not just from a coating. 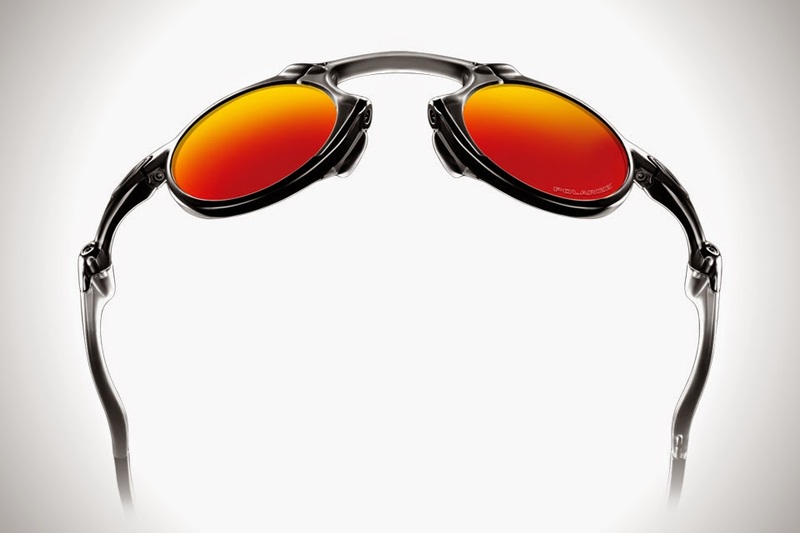 Oakley HDPolarized® lenses further contribute to sun protection by filtering 99% of reflected glare without the haze and optical distortion that can come with polarized lenses made with conventional manufacturing techniques." Of course, theres more to this famous brand than just the lens. 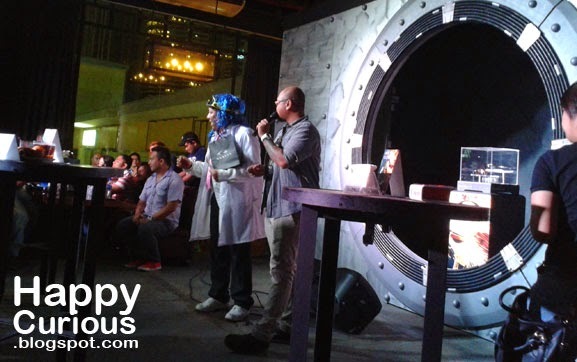 "there’s the Oakley-registered Unobtainium, a soft hydrophilic synthetic material that increases adhesion when wet. 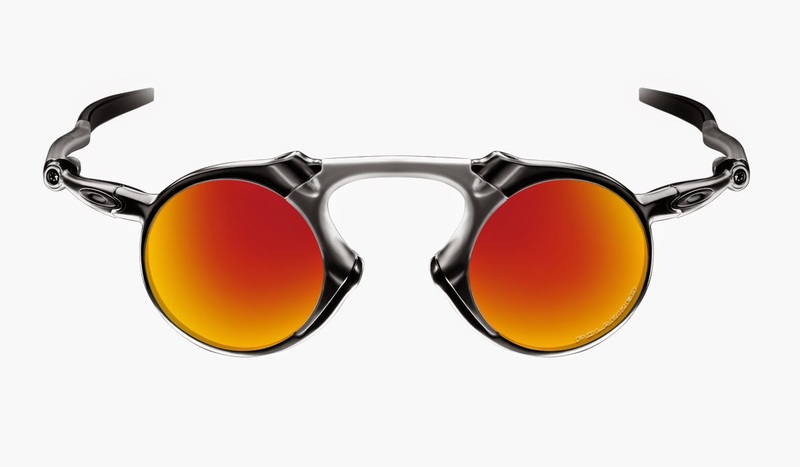 Used for earsocks and nose pads, this makes the frame grip better when a wearer perspires." The quality of Oakley's eyewear offers protection and durability ensuring wearers that they can enjoy these fashionable pieces for a long time. These 2 new members to the XMen Collection were also designed to fit different requirements. "Inspired by the attitude of our famed X Metal® collection, Badman™ combines the glare-reducing performance of HD PolarizedTM lenses with XYZ Optics® for unrivaled clarity at all angles of view, even with a full 8.75 base lens curvature that blocks peripheral sun and wind. We tooled the comfortable Three-Point Fit with the gripping power of Unobtainium® components and the precision of custom-engineered spring hinge mechanisms." "Madman™ has the bold attitude that made our X Metal® collection so coveted among those who break rules – not to be different but to defy a world where everything is the same. The comfortable Three-Point Fit is enhanced with the sure grip of Unobtainium® components, the mechanics of custom-engineered spring hinges, and a nose bridge of sandblasted O Matter for rare aesthetics and added flexibility." The launch of the sunglasses were followed by a musical performance and a raffle of these Oakley sunglasses to 11 lucky winners. Raffling off the sunglasses to the lucky winners. Also available in Olympic Village, Cinderella, Executive Optical, Magno Optical, George Optical, Opticians, Ideal Vision, Optical Works and LS Pascual. Note: Pictures for the individual sunglasses and quotes above, including material info and availability details are from the press release provided for this event.